Are amazing gel prints random guess work? Nope. But it can feel that way if you don’t know the FUNdamental principles. Do you know to avoid making mud? Do you know how to get a complete print in one pull? What about replicating a gorgeous look that you’ve created? Once you know the FUNdamentals, you will know all of this and more. This is a self paced 15 lesson on-line workshop jam packed with the whys and hows of making magic happen on the plate so you can make prints you love. This workshop has been a “live” workshop where lessons were released on specific dates, but due to popular demand, and not wanting to make you wait any longer, it is now available self paced. What that means is you have immediate access to ALL the lessons and videos. Watch Gel Printing FUNdamentals Workshop on YouTube. You’ll get a technique video in every lesson, plus you have access to the recorded live streams with a very special guest, Dave the Husband. He joined me for these during the live session of this workshop and you can see how he goes from being very hesitant to confident as he makes prints. 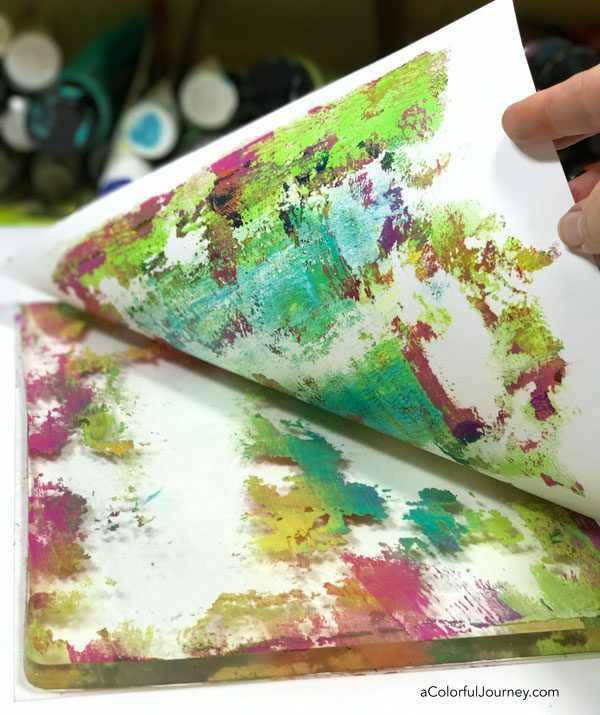 Throughout our 15 lessons together, you’ll see step-by-step how to use the FUNdamentals while printing with trash, a common kitchen supply, fibers, pencils, cosmetic sponges, stencils, rubber stamps and more! Life’s busy. Each video lesson is 10-20 minutes long so you can jump into the play. The classroom is forever access, so this fits your schedule with zero pressure. The videos are all downloadable so you can watch them off line or stream them. 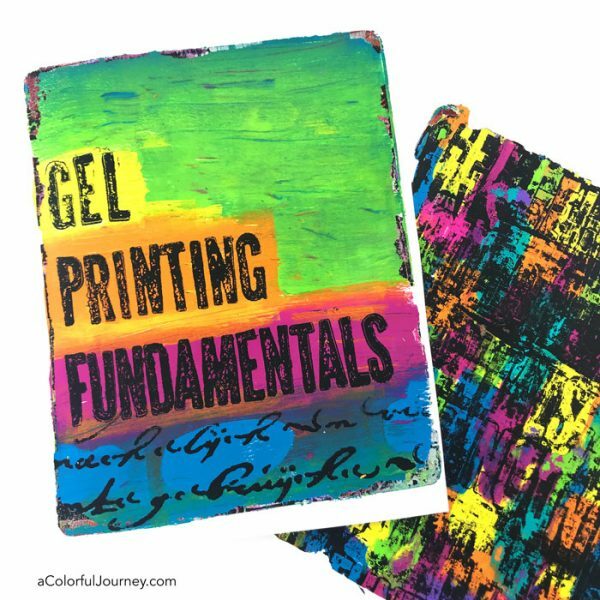 In Gel Printing FUNdamentals, you’re getting the short cuts and the tricks to printing including how to get words into prints. Now if you’re like me and don’t like your own handwriting, never fear, there is a trick to not having to worry about that and write words in your prints. But what about all the prints that aren’t instantly home run amazing prints? I make blah prints all the time. 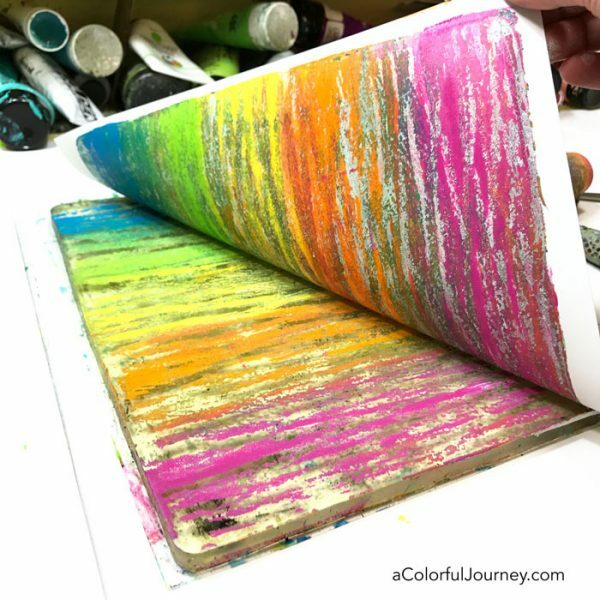 You’ll get to see how to build up layers on those prints and most importantly, find out the why behind the choices so you can apply it to your printmaking! 15 lessons plus all the getting started videos waiting for you now in the classroom! recordings of the Facebook live streams just for the workshop participants with special guest, Dave the husband making prints. 30 day money back guarantee. Why do I offer this? Because I want you to have the workshop that is right for you! What are the basic supplies that you need? In the getting started videos in the classroom, I go in detail about the sizes and types of products to guide you to finding the supplies that give you the looks you want in your prints. 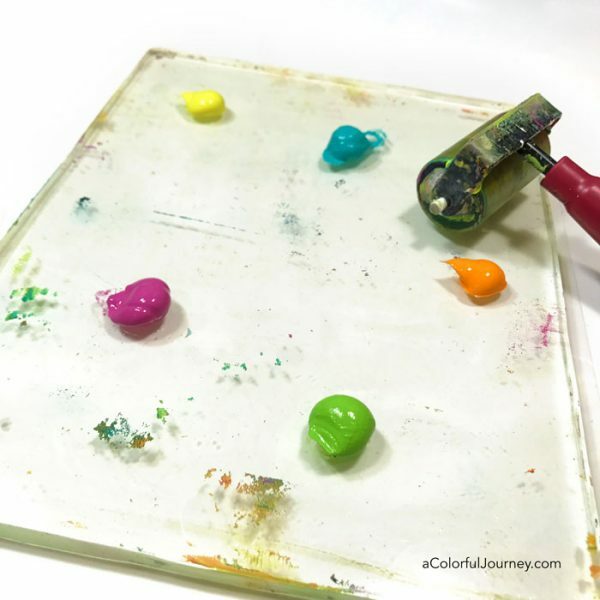 Gel plates, I use the Gel Press Plates because they have the best squish and have held up very well to all my play over the years. I like to use 2 side by side for several techniques. This allows me to use paint in different ways and not waste a thing. The plates can be the same size or different sizes. You don’t have to have 2, instead you can simply use half of 1 plate for the first part and the other half for the second part of the technique. What else will I be using? I am a big believer in use what you have on hand and substituting with what you like. In the classroom is a detailed list of every little thing I am using, but you don’t need to have all of that. 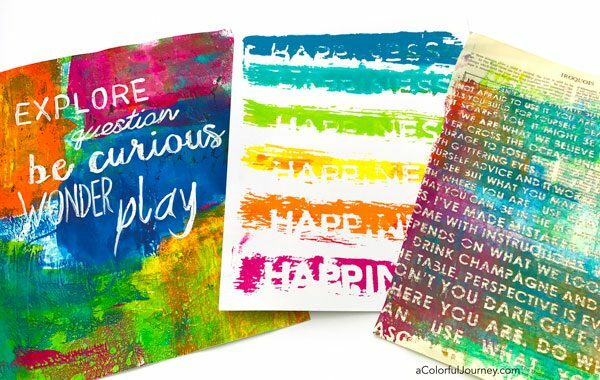 If you have a gel plate, a brayer, paint, and paper you can start printing. 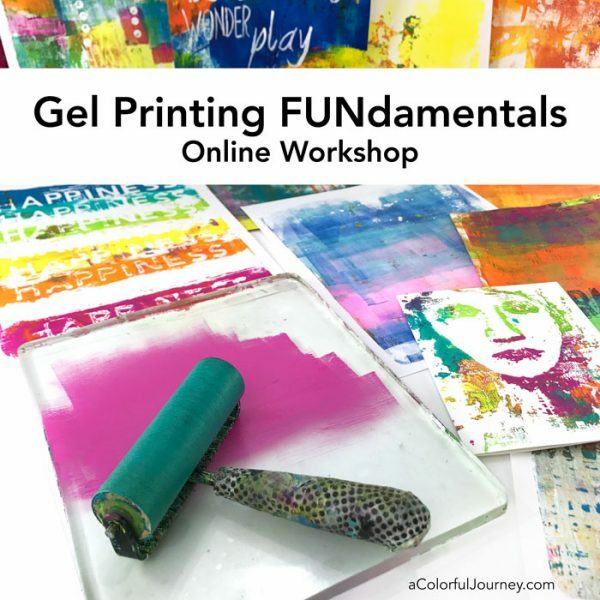 Are you ready to make amazing gel prints? Then jump on in to the workshop.